Review: "PiiQ by Cornerstone - a Snappy Online Tool backed by Superior Service"
PiiQ is currently used by one of two companies in our organization. In the next few months, we will deploy it to the 2nd company. 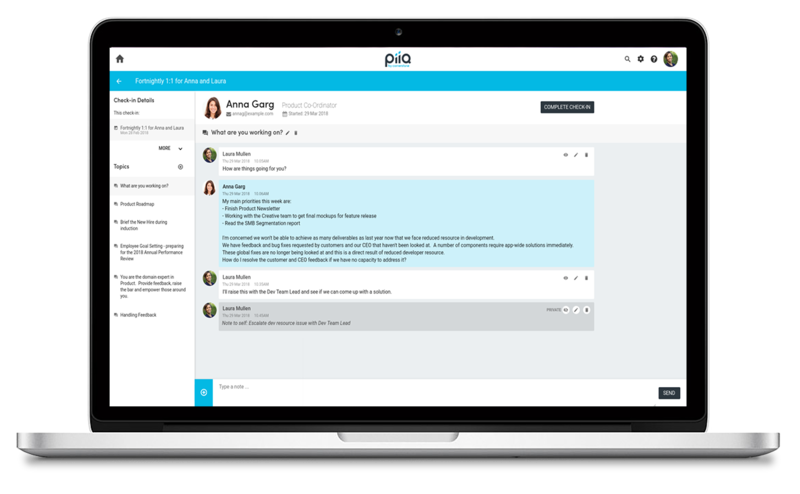 We use PiiQ as a communication vehicle between managers and employees and it helps us to address employee engagement issues. It also helps us to keep the organization's strategic goals in step with employee work goals. Excellent customer service - when all else is equal, customer service will win the day. Ease of use helps us get everyone on board with the goals and ratings. The analytics are helpful to senior managers - we can compare how managers rate as well as how employees perform. I had a difficult time getting started. I wasn't sure what template would work best for my organization. Most of the pre-set goals and competencies seemed to be geared toward sales - not our business model at all. It would have been helpful to have some one-on-one assistance - with someone asking critical questions, such as, what is your main purpose in using this program? And - it would have been good to have been able to try each of the three setups to see which one fit best, but to switch templates, all is lost in the template you've been trying out. It's like trying test driving cars without being able to look at them side by side. I would like for 2nd level managers to be able to see the reviews and the check-ins. Right now, only one supervisor/manager can review - unless they have admin access which isn't appropriate for all managers to have. If I can't see how my next level employee is reviewing his/her staff, how can I rate him/her on effective performance management? One of our biggest issues is with online access. Our employees are spread across nine different locations and not all locations provide on-demand level computer access. As a result, some of our employees are not able to easily participate in the check-ins and not able to occasionally refer to their individual and team goals. This leads me to the opinion that organizations with employees dispersed to field locations may not find this tool as convenient to use. Easy online access is definitely key for online programs. PiiQ by Cornerstone Review: "Very positive. Highly recommended." We are using most aspects of PiiQ - Employee reviews, performance management, check-ins, and training. The program allows us an intuitive and simple methodology to manage, train, and develop our employees and provide them with documented, on-going feedback. The check-in feature is extremely valuable in providing and documenting regular conversations and feedback. The employee review process is easy to manage and provides excellent reporting for monitoring and summarizing review process. The learning module has extensive and quality offerings in a number of categories. Being able to schedule check-ins with employees and have it calendarized in Outlook. 9 Block definitions used to show up in analysis. Don't see them anymore in latest versions. Best suited for companies that will use the functionality of the program to the fullest and train and hold accountable their managers and employees on the usage and benefits of the program. Review: "PiiQ by Cornerstone training aligns with our core values and provides needed training for our employees"
PiiQ by Cornerstone is currently being used by the entire organization to provide required courses for our all our employees as well as management development and skill gap improvement. We are able to provide construction zone safety, harassment prevention, workplace ethics, and diversity as required courses for everyone to understand the expectations for the organization, which aligns with our core values. All managers and trainers were required to take Be approachable & Coach as a Manager, A quick guide to Performance Appraisals, and Developing Leadership Skills. When skill gaps are discovered through underperformance, we use training courses from PiiQ to help provide new skills and reinforce the desired performance results. The training courses are easy to administer across the organization or to individuals. Tracking completion of the training courses and sending email reminders takes seconds! The implementation and set up was very easy with no fuss or mess. I was able to download the template, obtain the required information in a similar report format from my HRIS system, and simply upload the report to PiiQ. All the information was easily loaded and then I worked with my marketing team to have a proper backdrop banner photo for customization and feel. Couldn't be simpler! The reporting services do not provide the full report that I need, which lists the entire organization with all assigned courses and their completion rates. I track this information on a spreadsheet outside of the system for ease of reporting training back to leadership. I cannot see the email message that was sent to the employee. You can see the email template before it is sent, but no after. It is well suited for companies who need specific online canned training for various business needs. I do not think the PiiQ platform integrates with other HRIS systems. PiiQ by Cornerstone Review: "PiiQ has made my life easier." We are using both the PiiQ Learning and PiiQ Performance for our entire organization. 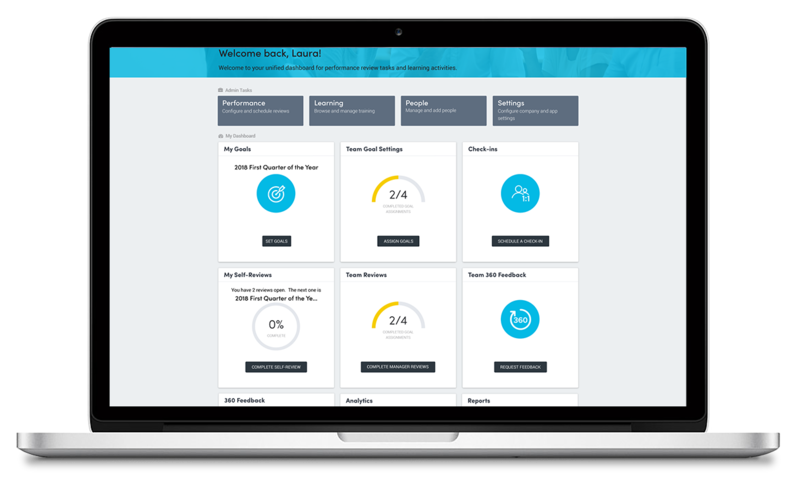 PiiQ enables us to efficiently manage our learning and performance needs for our business all in one system. You can create custom learning content and include links from multiple sources. PiiQ Performance enables us to get a solid view of our entire organization. This is particularly helpful when looking to make personnel changes that support the business. Managing the compliance of the performance review process was always challenging. With PiiQ, I can get real time data of exactly where we are in our review process. I would like to see the reporting be more robust. I would like to see the 9 box grid include kites and arrows like what existed in Sonar 6. I would like to be able to have testing on the performance side. PiiQ is well suited for small to mid-size companies. I would think larger companies may need a product with some more functionality. Review: "PiiQ by Cornerstone helped me Rally my Leaders and Peers to Drive a Culture of Continous Learning and Feedback"
Our entire agency uses PiiQ by Cornerstone to help conduct our annual performance evaluations (SaaS). Prior to using PiiQ by Cornerstone, Power had never had a formal review process. In fact, many long-term employees claimed they hadn’t had a review in years. Loyalty and longevity beat out innovation and career diversity. Some employees had grown complacent while others, who should have been rising to the top, were being overlooked. People had been in the same roles for decades but weren’t evolving with the changing industry. Because we are a creative business, we don’t have sales metrics or numbers on which to measure the success of all employees, so evaluating talent can be subjective. It was crucial for us to get the right people in the right seats, develop succession planning and implement organizational change management. And we needed a consistent process to evaluate everyone at the same time in the same way. PiiQ by Cornerstone provides roles and competencies, but allows you to develop your own specific to your organization. They also provide templates, or you can create your own. The ability to run reports on the status of completion across the agency, goal completion, 360 feedback and use of the LMS allows us to have a big-picture view of the agency and makes it easy for me to hold everyone accountable on all levels. The special features offered, such as the ability for employees to set their own goals and BOTH the manager and employee being able to set-up check-ins puts the power in each employee's hands and ensures that there are no excuses as to why there hasn't been continuous feedback throughout the year. It would be extremely helpful to have the ability to delete a 360 feedback form that had not been filled out from the previous year. Right now, if someone isn't able to complete a 360, it stays on their dashboard as incomplete. It would also be helpful for a manager to be able to "unsend" a 360 feedback request. The check-in feature is awesome, but it would be nice to house private notes and comments that the employee can't see, but the manager an reference when they get ready to conduct their interview. The back-end took a lot of time to set-up. This could be remedied with an easier way to manually fill-in content that is the same for each competency. For instance, if you choose a snap-to-grid feature with only three ratings, you have to manually fill-in those ratings each time whereas it would be helpful to set it up as a default so you can choose the same function each time. PiiQ by Cornerstone has been the conduit to finally streamline our performance evaluation process. Between the customer service and the ease of the tool, we are able to get meaningful feedback that helps us make decisions. PiiQ by Cornerstone Review: "Cornerstone PiiQ helps my organization reach the peak of productivity"
Cornerstone is being used across the organization for learning and performance. All new hires complete a series of compliance courses and then at least one course related to their position. As part of the annual performance review, employees are expected to complete one manager-assigned course and one personal improvement course. Employees and managers are also encouraged to use the system independently for growth and development. We use the 360 review functionality every 3rd quarter for the management team and the annual review process for all staff every 4th quarter. PiiQ Learning has extensive content organized by category to make it easy to find and assign courses to the staff; managers and employees can assign training. Reporting in both the learning and performance modules is simple and easy to understand. Particularly the graphics in the learning module are visually clear. I thought the performance module was fairly user-friendly last year, but having the ability to make changes without contacting support has been wonderful this year. I would like to have the ability to create profiles in the learning system so that when I onboard a new employee, I can assign training at the click of a button based on their role in the organization. I would like the ability for managers to be able to hide comments in the check-in feature; there are some notes that managers may need to refer to during a check-in that are not always appropriate to share with the employee at that time. I would love to submit a request in the learning portal for courses that are not in my package that I would like to add to the system. For example, if I need a course related to case management for social workers, I would like to be able to search other partners (from the learning portal) to see if there are courses in other packages or from other providers that I could purchase. Our organization has grown from 60 employees three years ago to 150 right now. It is very useful to use at this point. I believe there are products for larger businesses and I would like to understand when it would be appropriate to start looking at those tools. User Review: "PiiQ by Cornerstone"
We use PiiQ to manage our performance management program across our company. 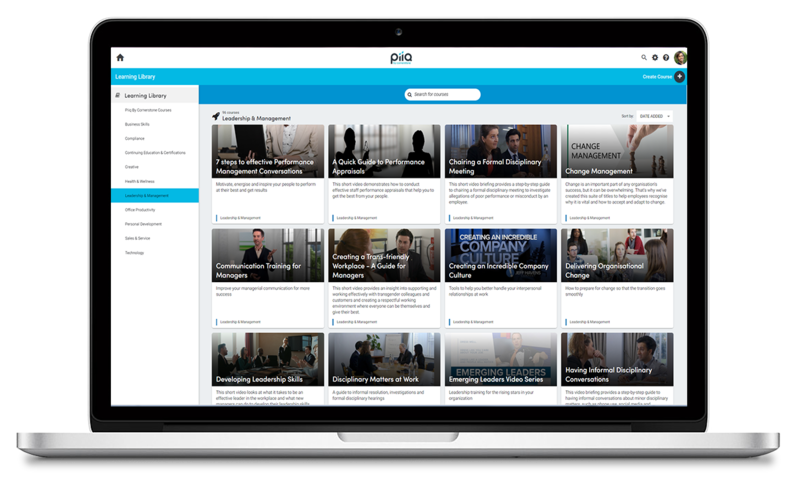 PiiQ provides a basic platform to allow managers and employees to address performance. The ease of managing users is particularly easy. PiiQ also showcases performance by team member via a grid. 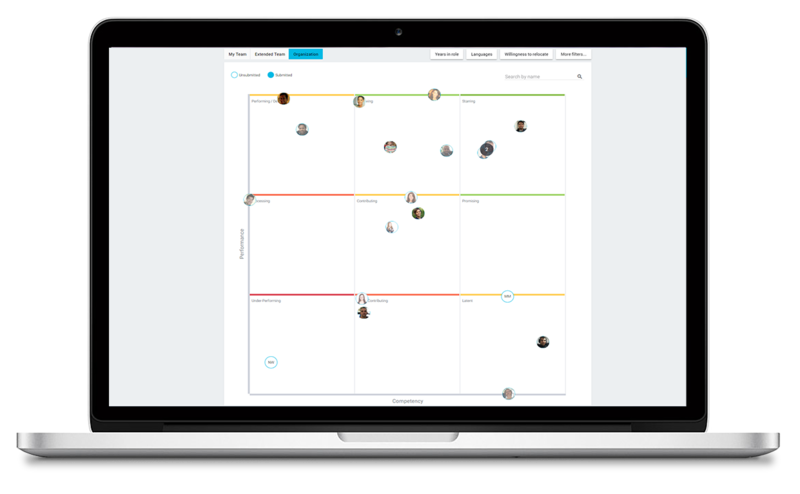 This allows managers to view their team members by performance level. PiiQ has a basic platform. The user interface is poor and does not provide flexibility for administrator to make changes to it. There are system generated messages but the administrator can not customize them to fit their organizations needs. The system does not have a "sign-off" on review. You must create one that looks and feels like it is a misfit. PiiQ is great for manager/employee updates. I think it is a great tool to provide feedback on a basic level and helps to keep information in one place. PiiQ by Cornerstone Review: "A great performance and learning system for small to medium business!" Would like to be able to schedule future Check-Ins , for example, weekly or monthly etc. PiiQ by Cornerstone: "PiiQ should pique your interest for strong performance reviews!" 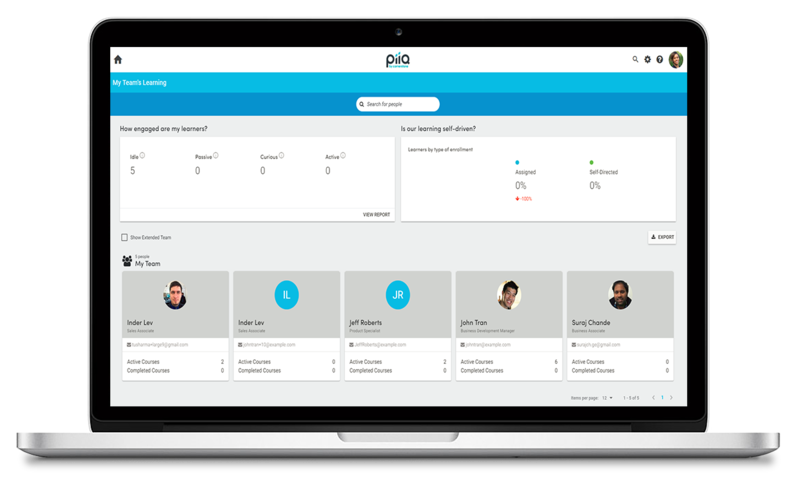 We are using Piiq for performance reviews of select employees. We will be launching it organization-wide to set goals for everyone in July for next year performance reviews. We are also using 360 for board members to review the leadership at the organization. Once you set up a review cycle it is very difficult to make significant modifications without starting anew. Great for small business and non-profit organizations that want to professionalize and improve processes. Great for organizations with limited administrative support. PiiQ by Cornerstone Review: "Great system. Don't be daunted by the setup - the value it adds to your business is worth it." We use PiiQ as our performance management tool to manage the KPIs of all staff on a quarterly basis. This data we use on an annual basis to inform salary reviews and career advancement. Throughout the year we use the platform to identify areas of strengths and weaknesses amongst the team and inform our training and staff engagement programmes. Great for managing medium sized teams of people spread over geographically dispersed offices. Not so good for small teams (less than 15). Requires a degree of time and effort to set up correctly to provide useful data for management and a good experience for staff members, but once that effort has been made the results are great. PiiQ by Cornerstone Review: "The Best Performance Management & Learning Solution on the Market!" Our entire organization utilizes PiiQ for performance management, feedback, and learning. The interface is incredibly intuitive and easy to navigate. PiiQ's features allow our employees to strive for peak performance while supporting their careers and learning. Intuitive interface. Nothing is more frustrating than trying to figure out a new system. The performance management template is incredibly easy to navigate. The administrator features are easy to use. PiiQ could improve on the print format of performance reviews. Our managers and employees have commented on the lack of quality when they print out a performance review. It is difficult to find information. More customization features such as template creation. I will say it again, PiiQ is incredibly intuitive and easy to use. Minimal training for employees is needed. "My PiiQ by Cornerstone Review"
PiiQ is used by all departments in our company as our performance review system. We are trying to get our managers to get in the habit of using it for quarterly reviews as well. The way that weighting is indicated on goals would be easier if you could just type in a number instead of those dots. There are some things that made Cornerstone more user-friendly when the PiiQ upgrade happened, but there were some items that made it harder to use. Some of the features that were added were beneficial, but others were not. I feel like there is still a lot of room for improvement. PiiQ by Cornerstone Review: "Great tool when set up correctly"
We utilize PiiQ to complete annual employee reviews for all employees. This helps us get a better feel for competencies employees need to work on and for us to find out how we can help our employees grow. It is a little confusing to set up at first; we are still new to it so are still working out the kinks. This is a great digital solution for employee reviews; just need to make sure you set it up correctly. "PiiQ by Cornerstone reviewn- My two cents"
PiiQ by Cornerstone is being used across our entire organization. We primarily use it for onboarding and employee development. Prior to using PiiQ by Cornerstone, we did not have a centralized repository to hold all of our onboarding documents as well as professional development courses for our employees. PiiQ by Cornerstone allowed us to be better organized. PiiQ by Cornerstone works well in an organization that does not have a full ERP HRIS. It is a very good add-on for smaller companies. 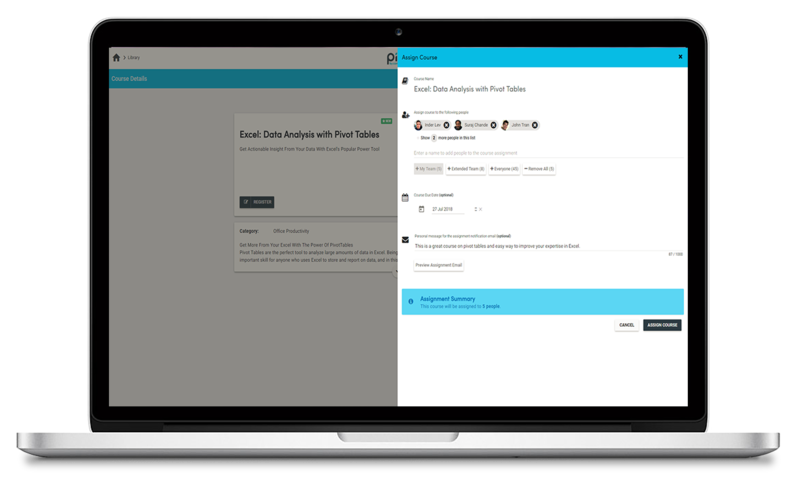 PiiQ by Cornerstone Review: "Good for simple setups"
PiiQ was our method of doing employee reviews for the entire organization. We canceled our contract as the product was not as user-friendly as we had hoped with the latest upgrade. If setting up the program was all that I did, then we might be still using it, but as an HR manager for 2 companies, I have much more on my plate. The instructions provided via webinar on making changes to your setup were not clear. Terminating users had to be done by contacting Cornerstone, not by the program admin, they did, however, allow the administrator to delete a user which was an improvement. There was also not a signature page that a manager could print and have signed that a review was completed, it was completely electronic. If you chose to print anything, it was the entire review which, in our case was at least 15 pages long when all we needed was the last page. It was print it all or nothing. With PiiQ managers could have employee specific goals verses the same goals for all employees in a specific classification. Allowing printing of just the signature page. Making it easier to make changes across the board. Smaller companies where the reviews are more generic or where reviews are more goal specific per person since that is a new feature which is nice. PiiQ by Cornerstone Review: "The upgrade from CSB to PiiQ has been a great disappointment." We use PiiQ for annual reviews for our whole organization. It allows for self assessments, which assists the managers in completing their reviews and speaking with their employees. We started out with Sonar6, which was a good product, easy to use and administer. It was then bought out by Corner Stone and called Cornerstone Small Business, but basically was the same product. When they moved from CSB to PiiQ we lost many areas of functionality and are finding it hard to use this product. Some examples: We no longer have the self assessment comparisons scales for the managers to view. The 360 no longer has the factors associated to it, its is now a manual process. The development plan was removed, so there is no place for managers to plan out future growth with their employees. The Notes area has been removed, so managers now have to keep notes in a separate document and its not associated with the review. And the final piece that is having us look for another application is that you can not change a persons role mid year, which is an issue as people change positions throughout the year. This also has caused an issue with our monthly upload of new hires and changes. I believe they rolled out the PiiQ product too soon. It may become a good product but based on what we had to what we now have is a great disappointment. PiiQ by Cornerstone: "Cornerstone offers a "Piiq" into the future of performance reviews!" PiiQ by Cornerstone is the performance management system we use in our corporate office where our key business functions are domiciled. Those functions include finance, real estate development, property management, architecture, corporate communications/fund development, and human resources administration. We have deployed it as an interactive system for employee goal setting, periodic performance "check-in" meetings, and annual performance/merit review. It has been a key tool in moving from an annual, angst-ridden review experience toward a more useful dialog at different points during the year. The employees can draft their own goals and their self-assessment which helps build trust and engagement with their direct manager and the company as a whole. Also, the built-in 9-box analysis enables us to see team or department performance within a useful context for development and training. Enables employees to draft work goals and collaborate with their supervisors on a final version - improves mutual understanding right up front. Combines performance goal ratings with competency ratings and provides a blended score. Simplifies the goal weighting so you don't have to do any calculations. 9-box matrix provides useful definitions and descriptions so managers can prepare development notes or plans for individual employees. Need to include a signature line or checkbox where the employee can acknowledge receipt and review of the final document as submitted by the manager (and the date of same). This would be very helpful so there is no viable argument about the content of the document especially if an employee dispute and/or lawsuit regarding performance issues arises in the future. A feature enabling employees to print out the final document. Right now, only the manager has a print command button on the screen. The employee can attempt this by using the browser’s menu option (i.e. mouse right click > print command) but the resulting hard copy is incomplete and poorly formatted. The word processor within Piiq has somewhat limited features compared to what is available in MS Word or even the more basic Windows Wordpad. But the interface is improved from the earlier version. The final print out doesn’t match the screen output. Ratings that are displayed graphically on the screen are Instead displayed as text. The end result is wordy and, at best, awkward to read. A 360-degree review that can be sent to parties outside the company would be helpful, especially for rating senior managers and executives who have extensive vendor or third-party relationships contributing to the overall performance rating. Piiq by Cornerstone is a tool (actually, a set of tools) well suited for salaried and professional employees (e.g. corporate headquarters). May be a bit too sophisticated for the performance management needs of hourly/production staff. We also faced some cost constraints and elected to use a simpler online performance management tool offered by our payroll vendor. PiiQ by Cornerstone Review: "Small Agency Using PiiQ to Grow"
We are using PiiQ to manage our employee goal setting, performance reviews and for 360 feedback. It is being used across our whole organization and it allows us to support our team goals and professional development. I love how it provides examples of roles and goals to build off of. It is very well suited for a medium-sized organization that is looking to standardize their employee growth and development. PiiQ by Cornerstone Review: "Visible system for PA-PiiQ"
We use Cornerstone globally for annual performance reviews. We have been using PiiQ from Cornerstone for 3 years. I feel after the upgrade, PiiQ has improved the interface so it is more user friendly and can provide detailed analytical reports. The internet speed from China has been improved as well. I like it. It can be used for annual performance company wide which is good. If we can use this tool to track and remind line managers to have monthly or quarterly review of their subordinates' progress and improvement, it will be better. For example, when we set the monthly goals or quarterly goals, the system can send email reminder to the manager and ask them to have the review. PiiQ by Cornerstone: "PiiQ Your Review!" We use PiiQ annually for performance reviews although we engage with the platform as regularly as monthly or quarterly 121s to document progress against targets and goals, to self-review, seek 360 feedback, so that by the end of the year and the annual review is due, we have captured data/feedback/assessments all throughout the year. We can use it for remote workers through an app - allows self-review. The best thing it gives HR and managers is a helicopter view of employees and performance/behaviours to support future actions - performance improvement, coaching, or succession planning or progression plans. 360-degree feedback requested through the system to add value to reviews and assessments. More guidance around the 9 box grid outcomes and how to support/improve your employee. We use BambooHR and the two systems use to talk and would import new starters - that feature is missing now. 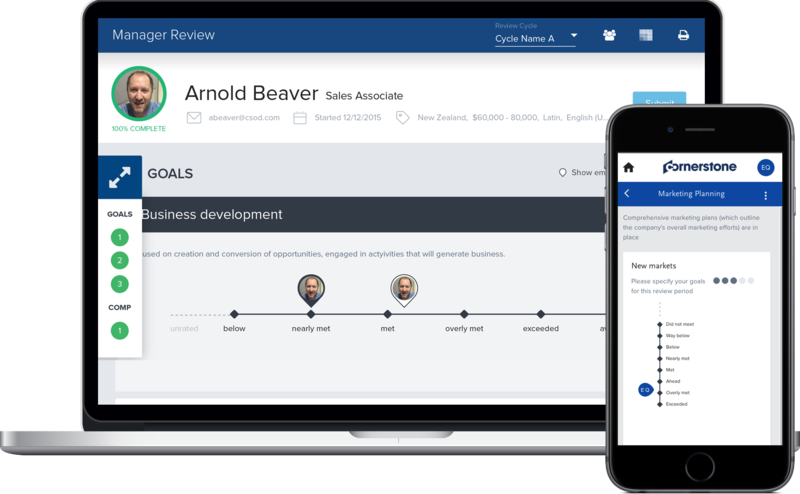 A great platform to conduct business wide reviews in an interactive way, allow visual oversight to the business, and could absolutely support other talent management strategies in place. PiiQ by Cornerstone Review: "Need to fix the reporting on this product!" We use it to develop annual performance goals then rate those goals as well as other competencies. The reporting is terrible. We wanted to print out each person's complete evaluation and that functionality is not available. We ended up printing screenshots page-by-page which was a huge waste of time. Need to fix this or will not be continuing as client. There were issues with the "bubbles" vs. the ratings and confusion with that. Percentages were off and took a lot of time to resolve. Unless Cornerstone fixes the reporting I don't believe it is suited to anyone. PiiQ by Cornerstone Review: "Good system, implemented into a professional services firm, still improving as we go!" Used by whole organisation. Some areas of the business would like an area where they can record smaller job appraisals on an ongoing basis throughout the year, and then refer to this when completing a 6 monthly review. Add a section where you can record ongoing feedback throughout the year, separate to the reviews. Then managers can refer to this section when completing a review. Allow more flexibility in wording. I.e. administrators should be able to control what the automated email reminders say. Remove the close date for the reviews so users can't see this. We often tell people to complete their reviews by x date, but don't set the close date until a week or two later. We don't want people to see the later (actual) date. Allow more than one manager to be allocated to an employee. We often have people reporting to two managers, and they both want input into the review. Good for remote working, works on a mobile phone for example. You can complete part of the review, then come back and complete later. Good for 360 feedback. PiiQ by Cornerstone Review: "Why you should consider PiiQ"
We use PiiQ for all staff for period goal settings, annual reviews, and 90 day reviews. We also use its learning capabilities. You need to measure performance or goals consistently in business to always continue to improve. The tools and reports give you this opportunity with this software. You can't goal headers. Once something is in the library it will always show up when you set a goal period. I have had frustrated Managers because of this aspect but it could be fixed. They are working on better one off review functions. It is a continuous tracking module but some companies like to do certain reviews with certain questions only at any time. This product is great for setting up standard metrics that you want to continuously track at all times for all employees. The only issue is how the library is set and once you set your goal period you can't modify goal headings so thus you are locked into having a question answered in that category no matter what. PiiQ by Cornerstone Review: "Cornerstone On Demand Cares What You Think!" We selected Cornerstone on Demand about 4 years ago because the concepts and values aligned with our company objectives program, and the system was an easier way to monitor and collect data from the employees. We converted over to the PiiQ website last September, and we stayed with the new system because it still aligns very nicely with our company objectives. All our organization uses the performance module from the CEO down to our service group. We align our whole company with three objectives, and their assignments for the year will focus on either 1 or all 3 of the objectives. This year our company is focusing on execution, and the employee's goals reflect that objective. The tool helps us keep everyone aligned, and on target for 4 quarterly reviews. We use the results for incentive pay across the organization. The new system (PiiQ) is very systematic in the design and implementation. It is consistent from employee use to the use of a supervisor. It is simplistic and user-friendly. Although, teaching the new system coming from the old system has been difficult. I finally had to design a "guide sheet" with simple instructions to get our users more familiar with the way the new system is laid out. It has taken some time, but I think most users now "get it." The new administrative side is much more effective, and allows the administrators to assist others more effectively. I haven't re-designed anything else since switching, but may do so in the future (which we couldn't do ourselves on the old system). They have made vast improvements with their customer service. I now get the help much easier and quicker. Thank goodness. The language Cornerstone chose to use "submit," "unsubmit," and "confirm" has been very confusing, and the hardest concept to teach, and from feedback from the supervisors, they dislike having to go to the extra step of confirming the goals. I completely understand why that step is necessary, and it makes it more necessary for the supervisor to have that conversation with their employee as they move through the steps. I mentioned this to one of the customer service agents, and they said it was very low on the priority from the feedback, but I really loved the organization tree that was available in the old system. It was a quick way to see that I had everyone reporting to the right people, and easier to see organization as a whole. For managers/supervisors that take the time as they should with their employees, it is a great system and user-friendly. Our organization requires our supervisors to perform 4 quarterly meetings, and this tool works great in those incidences. However, for a supervisor that doesn't like doing paperwork, and isn't as apt to meet with their team, in their minds it is a real drudgery. I just remind them most of the tools out there for performance is far more complicated and much more expensive. PiiQ by Cornerstone Review: "PiiQ ease of use proves beneficial across all departments"
We use PiiQ for performance management tracking as well as learning and informational videos. Really great for ease of use and performance management. Can be tailored to each business's specific needs. PiiQ by Cornerstone is performance and learning management software designed for small to medium businesses. 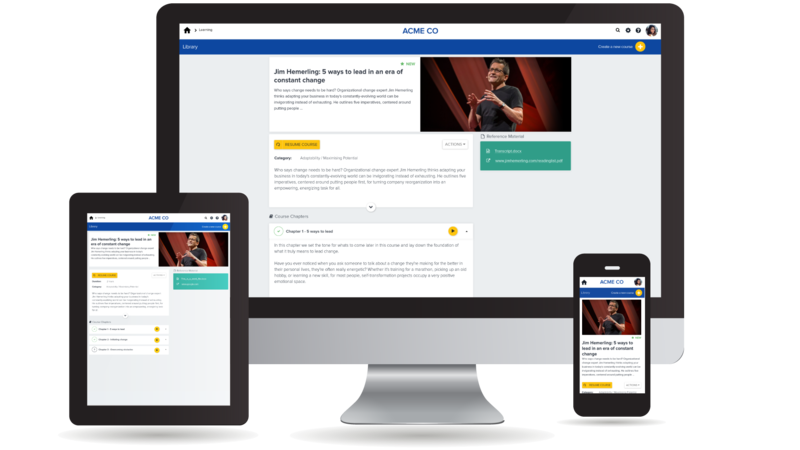 The software drives employee engagement and productivity with its performance management tools and helps companies build a culture of continuous learning and development with a robust library of on-demand courses. The vendor’s value proposition is that managers can get up and running fast with the self-configurable and intuitive set-up. 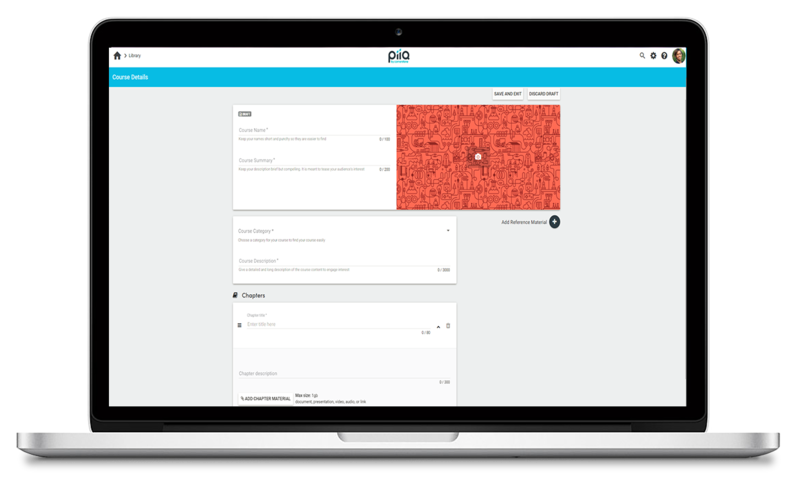 PiiQ offers a suite of products; choose PiiQ Performance, PiiQ Learning, or both in one, simple platform. PiiQ also offers a service and support team that aims to help businesses optimize use of the products and enable success. Support ranges from immediate telephone support to full consulting packages – companies have the choice in how much they need.